Better With A Book: Dr. Suess Camera...An iphone app for Dr. Suess's Birthday! Dr. Suess Camera...An iphone app for Dr. Suess's Birthday! Hurry! Download the Dr. Suess Camera, The Cat in the Hat Edition app for Read Across America Day! This is so cool! For just $1.99, you can take a picture of yourself or use an existing picture from your library and then choose a card from one of Dr. Suess's many books. Just like that, your face is transposed into the pages of a Dr. Suess story! I love this! Once you have taken the picture, with just one click, you can email your photo to a friend or save it to your library! 1. Place some iPads at a station and have your students take pictures of their faces and pick a scene from a story! You'll hear lots of giggles as their faces become part of a Dr. Suess story! 2. Save your photos to you library and then upload them to your favorite online photo company! 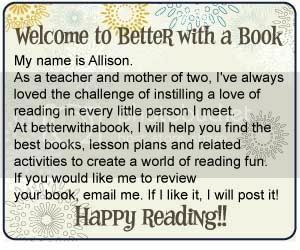 Print these cards out to create book marks or little mementos for your students or children! Your photos go from this screen...to story book page! What a cute idea! Thanks for sharing, I have never heard of this app. Happy Birthday Dr. Seuss! Thanks, Paul. We are still having so much fun with this app!